YOUR INTENSIVE CARE HOTLINE - THE 5 THINGS YOU NEED TO KNOW IF THE MEDICAL TEAM IN INTENSIVE CARE WANTS TO “LIMIT TREATMENT”, WANTS TO “WITHDRAW TREATMENT” OR “WITHDRAW LIFE SUPPORT” OR WANTS TO ISSUE A “DNR” (DO NOT RESUSCITATE) OR AN “NFR” (NOT FOR RESUSCITATION) ORDER FOR YOUR CRITICALLY ILL LOVED ONE! I have literally seen thousands of families of critically ill Patients in Intensive Care experience intense pain and suffering when it came to their loved one being critically ill in Intensive Care! And I have seen many many families of critically ill Patients in Intensive Care experience even more intense pain and suffering when it came to their loved one being in a situation where the Intensive Care team is trying to “LIMIT TREATMENT”, “WITHDRAW TREATMENT”, “WITHDRAW LIFE SUPPORT” or if they want to issue a “DNR” (do not resuscitate)/“NFR” (not for resuscitation) order! I also had to overcome my own frustrations, my own challenges and my own struggles when I had to “withdraw life support” or “limit treatment” for critically ill Patients or when Patients have been issued with a “DNR” (do not resuscitate)/“NFR” (not for resuscitation) order! I have been massively challenged by those situations when nursing at the bedside in Intensive Care for nearly 20 years! I can assure you that despite my specialised training as an Intensive Care Nurse I was surprised and shocked too that way too many Patients in Intensive Care and their families get “sold” on “TREATMENT LIMITATIONS”, “WITHDRAWAL OF TREATMENT”, “WITHDRAW OF LIFE SUPPORT” or on “DNR” (do not resuscitate)/“NFR” (not for resuscitation) orders! Often, nothing could be further from the truth! I have also worked as a Nurse Unit Manager in Intensive Care for more than 5 years and that’s given me plenty of insights of what’s really happening “BEHIND THE SCENES” in Intensive Care and this is a shortcut for you to benefit directly from this insider knowledge. A lot of my 1:1 counselling and consulting is with families who have a loved one critically ill in Intensive Care who is in a situation where Intensive Care teams are putting pressure on families to agree to a “withdrawal of treatment”, to a “limitation of life support” and/or to “DNR”(Do not resuscitate) or “NFR”(Not for resuscitation) orders! The good news is, I know I can help families in those situations and I can help them very quickly! The good news is, I can help families to get results very quickly they previously thought they could never get! Having a loved one critically ill in Intensive Care is a massive challenge and it’s even more challenging when the Intensive Care team is telling you that they want to “LIMIT TREATMENT”, “WITHDRAW TREATMENT”, “WITHDRAW LIFE SUPPORT” or if they want to issue a “DNR” (do not resuscitate)/“NFR” (not for resuscitation) order! It is literally a “life or death” situation that you and your family can’t afford to get wrong and you know it! Most Families of critically ill Patients in Intensive Care are baffled if the Intensive Care team is telling them that they think it’s “IN THE BEST INTEREST” for your critically ill loved one to “LIMIT TREATMENT”, “WITHDRAW TREATMENT”, “WITHDRAW LIFE SUPPORT” or if they want to issue a “DNR” (do not resuscitate)/“NFR” (not for resuscitation order)! Or even worse, the Intensive Care team is wrongly implying that they don’t have other options but to “LIMIT TREATMENT”, “WITHDRAW TREATMENT”, “WITHDRAW LIFE SUPPORT” or issue a “DNR” (do not resuscitate)/“NFR” (not for resuscitation) order as being “IN THE BEST INTEREST” for your critically ill loved one! The sad reality is that Intensive Care teams are telling families of critically ill Patients in Intensive Care all the time that a “TREATMENT LIMITATIONS”, “WITHDRAWAL OF TREATMENT”,“WITHDRAWAL OF LIFE SUPPORT”, a “DNR” (do not resuscitate)/“NFR” (not for resuscitation) order is “IN THE BEST INTEREST” for their critically ill loved one! Think about this for a minute. How could this ever be? Most Families of critically ill Patients in Intensive Care- in fact 99% of Families of critically ill Patients in Intensive Care- make no informed decisions, have no PEACE OF MIND, no control, no power and no influence and they have no idea that this is happening every single day all over the world! What’s leading up to this is that decision making in Intensive Care is happening “BEHIND THE SCENES”! It tends to be so powerful that it’s almost always impacting on how the Intensive Care team is positioning your critically ill loved one’s diagnosis and prognosis, including “TREATMENT LIMITATIONS”, “WITHDRAWALS OF TREATMENT”, “WITHDRAWALS OF LIFE SUPPORT”, as well as “DNR” (do not resuscitate)/ “NFR” (not for resuscitation) orders! What’s the name of the Ebook, the 2 Videos and the 2 Audio recordings again? is absolutely crucial information for you and your family to have! If you don’t understand what’s happening in Intensive Care, especially when it comes to “limitations of treatment”, “withdrawal of treatment”, “withdrawal of life support” situations or “DNR” (do not resuscitate)/“NFR” (Not for resuscitation) orders, you are literally doomed! On the other hand, if you and your family know and understand what is really happening in Intensive Care when it comes to “treatment limitations”, “withdrawal of life support”, “DNR”(Do not resuscitate)/”NFR”(Not for resuscitation) orders, you and your family will be able to make informed decisions, get peace of mind, control, power and influence! As you know by now, the Intensive Care team has no interest in transparency, because the stakes in this multi- Billion Dollar $$$ per year industry that is Intensive Care are way too high! And I have seen many many families families of critically ill Patients in Intensive Care experience intense pain and suffering when it came to “withdrawal of treatment”, “withdrawal of life support”, “limitation of treatment”, “DNR” (Do not resuscitate)/“NFR” (not for resuscitation) orders and situations! 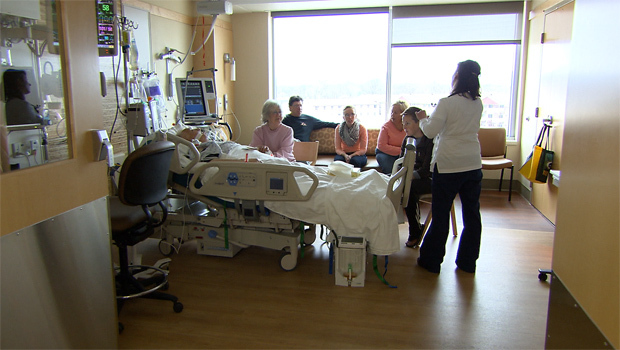 Understanding the decision making framework of the Intensive Care team is crucial for you and your family! Other things they include into their decision making process when it comes to “withdrawal of treatment”, “withdrawal of life support”, “limitation of treatment”, “DNR” (Do not resuscitate)/“NFR” (not for resuscitation) orders and situations are non-emotional and they are a direct result of what’s happening “BEHIND THE SCENES” in Intensive Care! If that’s you, the Intensive Care team has wrapped you around their little finger and the Intensive Care team can easily “sell’ you and your family on a “withdrawal of treatment”, a “withdrawal of life support”, a “limitation of treatment”, a “DNR” (Do not resuscitate)/“NFR” (not for resuscitation) order as being “IN THE BEST INTEREST” for your critically ill loved one! It means you and your family are at the mercy of the Intensive Care team! On the other hand, if you and your family can finally be in a position in how to successfully challenge the Intensive Care team, they also know that they are dealing with a powerful family that’s making informed decisions, gets peace of mind, control, power and influence! · challenge the Intensive Care team’s assumptions, because those assumptions are mainly a result from what’s happening “BEHIND THE SCENES” in Intensive Care and they are not based on your goals but on the ICU team’s goals! · step into your own power and make informed decisions, get PEACE OF MIND, have control, have power and have influence! · Find out exactly what decisions the Intensive Care team makes the minute your critically ill loved one is being admitted to Intensive Care and what it means for your critically ill loved one’s diagnosis and prognosis, as well as the care and treatment they are receiving or not receiving! · Discover why the Intensive Care team is only talking about “perceived situations” and how you can change the perception, including the Intensive Care team’s perception! · Discover how you can turn your weakness of not knowing anything about Intensive Care into your greatest strength! It’s something the Intensive Care team doesn’t expect and it’ll turn the tables in your favour if you master this skill! 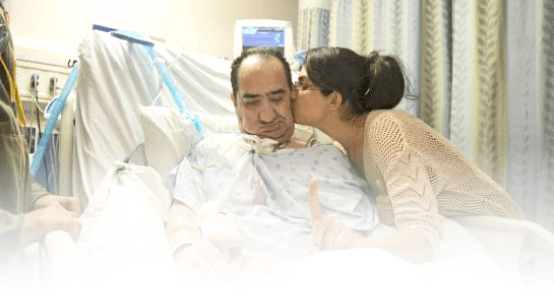 · What you need to know about how the Intensive Care team’s negative outlook on life impacts on the positioning of your critically ill loved one’s diagnosis and prognosis, as well as the care and treatment offered or not offered to your critically ill loved one! 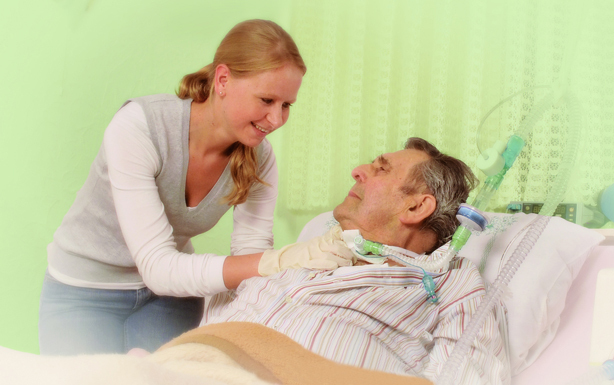 · you’ll get real world examples that you can easily adapt to your and your critically ill loved one’s situation! 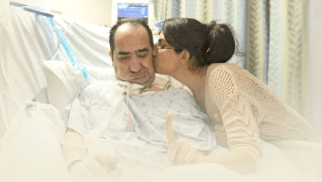 · Why your critically ill loved one’s age is not as important as you think it is, especially if the Intensive Care team pointing out your critically ill loved one’s age! · What you must know about the financial budget in an Intensive Care Unit and how it impacts on the positioning of your critically ill loved one’s diagnosis and prognosis by the Intensive Care team, as well as the care and treatment offered or not offered to your critically ill loved one! · The secret insider knowledge about NFR (Not for resuscitation) orders and DNR (Do not resuscitate) orders that that the Intensive Care team does not want you to know! Intensive Care teams are so shrewd and adept to “sell” you and your Family on what might be “IN THE BEST INTEREST” of your critically ill loved one, without you and your Family knowing and understanding what’s really happening or what’s happening “BEHIND THE SCENES” in Intensive Care! The Ebook, the 2 Videos and the 2 Audio recordings will show you how you can powerfully position yourself and your critically ill loved one whenever you are faced with this challenging, difficult and often heartbreaking situation! you will be able to make informed decisions, get PEACE OF MIND, control, power and influence as a direct result of you knowing and understanding what’s happening! · it’s another stepping stone for you and your family to finally make informed decisions, have PEACE OF MIND, have the control, have the power and the influence you know you’ll need! · the Ebook, the 2 Videos and the 2 Audio recordings will help you tremendously when you communicate with the doctors and the nurses in Intensive Care and it’ll show the Intensive Care team that you have insider knowledge that normally only ICU doctors and nurses have! · the Intensive Care team immediately realises that you speak the “secret Intensive Care language”, which they don’t expect and speaking the “secret Intensive Care language” will give you an ultimate advantage! · is based on real world experience! the Ebook, the 2 Videos and the 2 Audio recordings for free and then pay only $27 after two weeks you can try it for 2 weeks at my risk and you’ll only pay after 2 weeks of the purchase! Therefore you can try it out for free and see if you like it or not! The value of the Ebook, the 2 Videos and the 2 Audio recordings are at least $1,000 and here you can get the Ebook, the 2 Videos and the 2 Audio recordings for free and then pay only $27 after two weeks and you can try it for 2 weeks for free at my risk and you’ll only pay after 2 weeks of the purchase! You get the Ebook, 2 Videos and 2 Audio recordings and I take the risk, because I’m that confident that the Ebook will change your, your family’s and your critically ill loved one’s life! 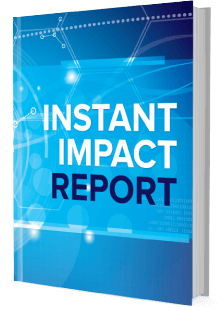 that comes with 1 Ebook, 2 Videos and 2 Audio recordings for free now!